YOUR SEARCH IS OVER!! 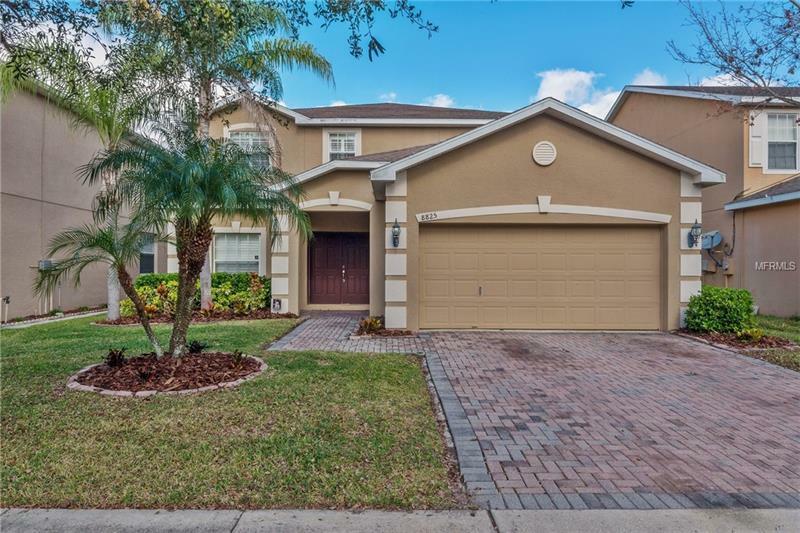 You don’t want to miss this 5 bedroom 3.5 bath home with A POND VIEW located in the desirable Enclave at Citrus Park community. This home features more than 3250 sq ft of open space a HUGE LOFT and oversized bedrooms. Upgrades include beautiful plank laminate flooring on the entire 1st floor along with crown molding & plantation shutters throughout. Kitchen features all stainless appliances corian counters breakfast bar an island diagonal set tile and plenty of nice cherry wood cabinets to suit all your kitchen storage needs. Master bedroom located on the 1st floor and master bath features his/hers Vanity with Jetted Garden Tub and separate tiled walk-in Shower. Second floor boasts 4 large bedrooms with an OVERSIZED bonus room with lots of storage. The covered/screened lanai goes all the way to the 2nd floor and overlooks the serene pond. No CDD and low HOA fees. A great opportunity in Westchase / Citrus Park Area! Minutes from Tampa Airport and Downtown. 2 mins from Citrus Park Mall and Westchase shopping.